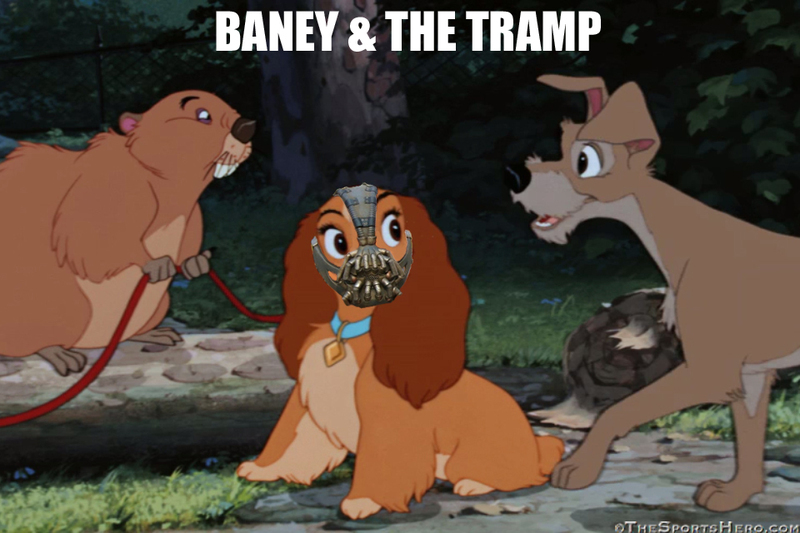 Saw ‘LADY AND THE TRAMP’ recently with the wife, and this scene was just begging to be photoshopped with Bane’s mask. 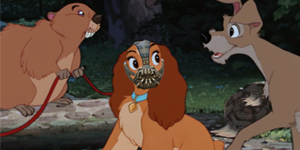 I was amazed how easily it fit over the muzzle! Check out ‘BANEY AND THE TRAMP’ below.